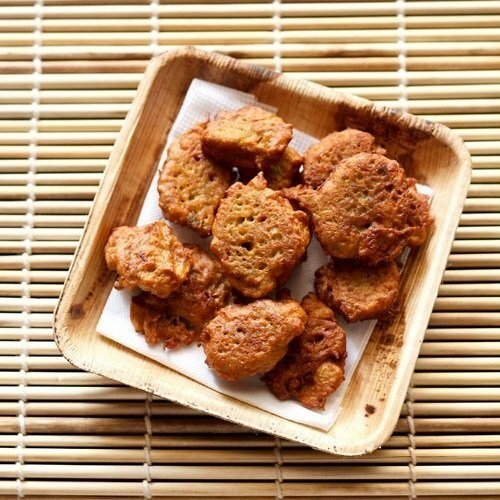 lauki pakora recipe - lightly spiced bottle gourd fritters made with gram flour or besan. lauki pakora recipe – this is another variation of pakora which i make with lauki or bottle gourd/opo squash. whenever i get lauki/dudhi then i am not able to use it completely in one recipe. so there is always a left over lauki. when i made the lauki chana dal sabzi then the left over lauki was used to make these delicious lauki pakoras. i have quite a few lauki recipes on the blog like lauki halwa, lauki kofta, lauki paratha, lauki kheer, lauki raita and lauki thepla. 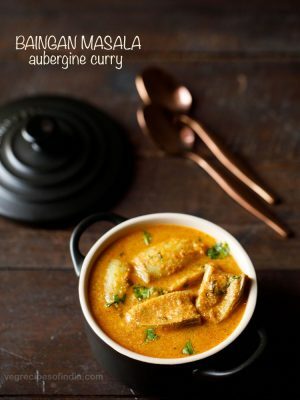 lauki is one such healthy veggie which must be included in the diet often. the method of making these lauki pakoras is almost same as we usually make pakoras at home. 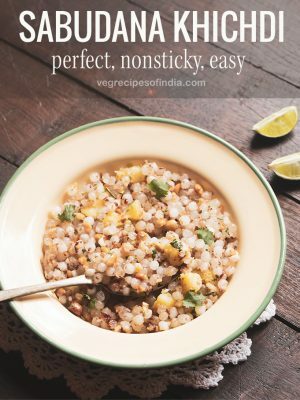 in this recipe, you have to first grate the lauki and then squeeze the juice by pressing the grated lauki with palms. 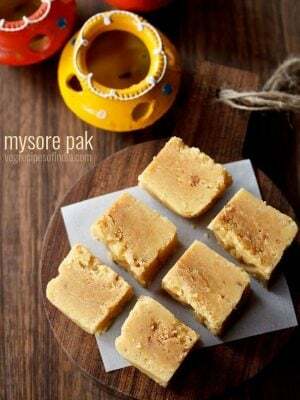 this juice is mixed with the gram flour to make the batter. thus you don’t need to add water to make the batter. its not necessary to squeeze the juice but i prefer this way as you are in control. 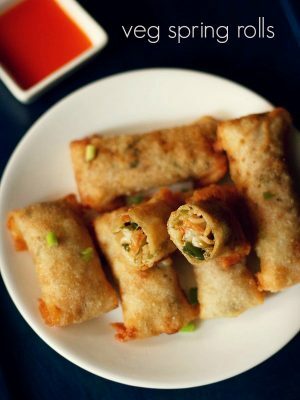 or else the batter might become too thin and it becomes little difficult to make the lauki pakoras. although i have made the pakoras without squeezing the juice also. but i generally prefer to squeeze the lauki juice as we do in case of making mooli parathas as well. if you do not have access to lauki or opo squash, you can also make these fritters with zucchini. 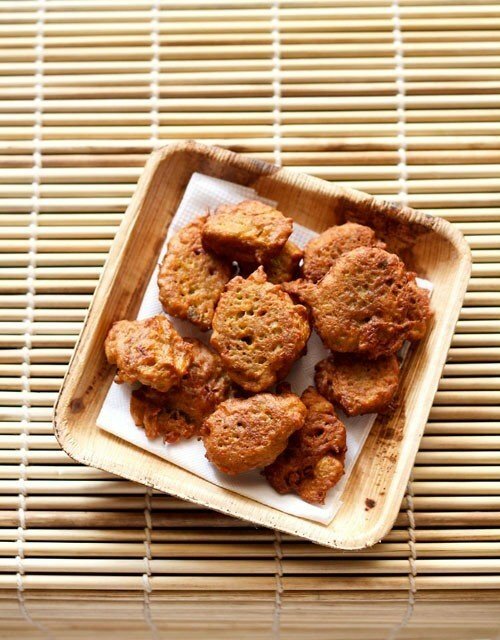 you can serve these lauki pakoras with tomato sauce, coriander chutney or mint chutney or any other green chutney. 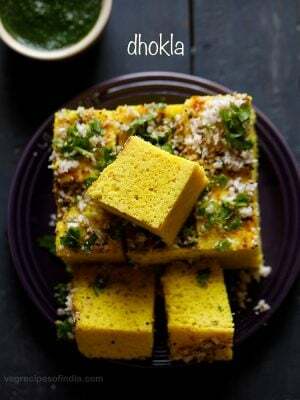 if you are looking for more pakoras recipes then do check paneer pakora, palak pakora, bread pakora, onion pakora, aloo pakora and basic pakora recipe. rinse, peel and grate the lauki/bottle gourd. squeeze the grated lauki with your palms and remove the juice in a bowl. take the squeezed lauki in a separate bowl. add all the rest of the ingredients mentioned above except oil. add the juice as required and make a thick batter. if the batter looks very thick and dry like, you can add some water in case the juice has got over. drop spoonfuls of the pakora batter in medium hot oil. fry the pakoras till crisp and golden. drain the lauki pakoras on kitchen paper towels to remove excess oil. 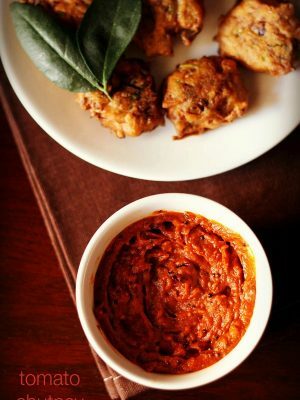 serve lauki pakoras hot with coriander chutney or tomato sauce or mint chutney or with any green chutney. 1. you can adjust the spices as per your preference. 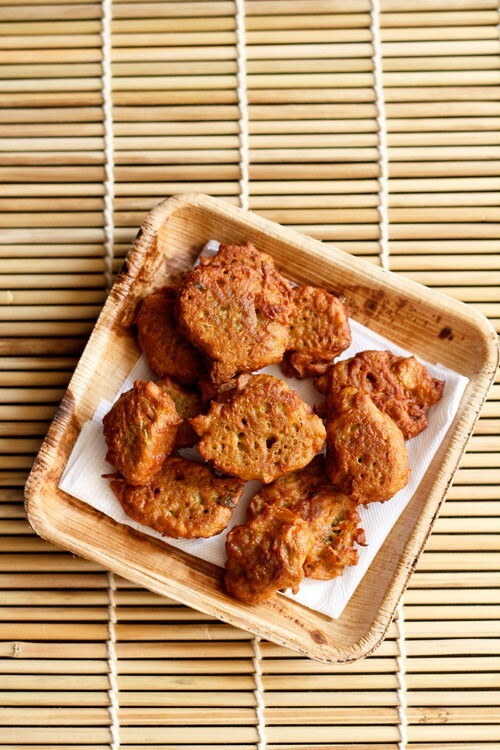 2. you can make these pakoras with zucchini as well. lauki pakoras Wow… Dish looking very nice, mouthwatering. Hi Dassana, Commenting here after a long time, It is really hard to manage blog with full time job. Anyways I have never tried Lauki pakora, but yours looks so tempting. I have to try it now. I agree with you that One should include lauki in their diet as it is very healthy. yes, i agree blogging these days need lot of time and it is kind of becoming a full time job in itself. even i hardly get time to comment on any blog. glad to see your comment after a long time.